Today we have a guest blog post from Nichole, the Merchandising Project Manager here at Robert Kaufman! Nichole is a long time-quilter and interested in adding new techniques to her quilting. 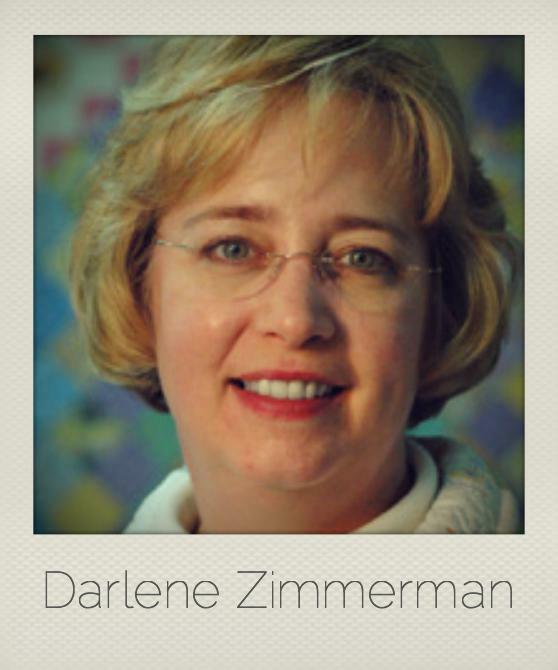 She will share a visit she had recently with a local clothing designer and fabric dyer, Jennifer Dodge. I am the kind of quilter that doesn’t mind mixing fabric types, and love adding texture to my projects. One of my go-to basics to sew with is Carolyn Friedlander’s Architextures, with a favorite color being the white on white cross-hatch. It’s so subtly beautiful and adds so much with just so little. I love using the fabric as-is, but I also thought it would be fun to try a few dyeing techniques on. I wondered how the dye would take to the basecloth and was curious if the screen-printed crosshatch would pick up any color. Luckily, I knew just the person to go to with my questions. 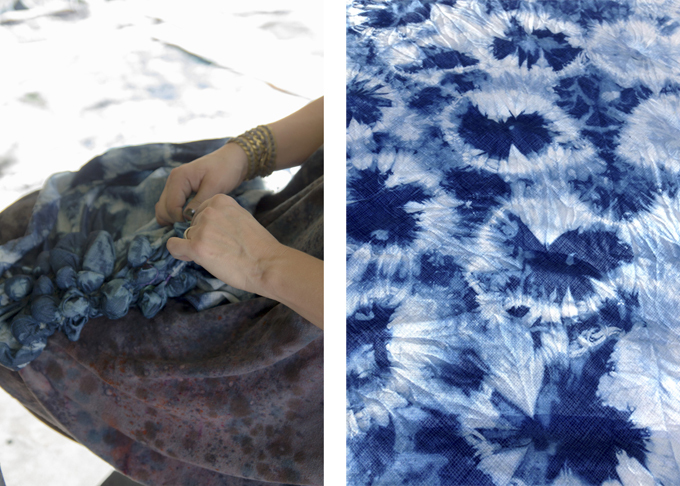 Jennifer Dodge is a dye maven and a Los Angeles clothing designer. Her brand, ERMIE, started as a blog and has developed into a small-run clothing line with a focus on hand-dyed and digitally printed fabrics. 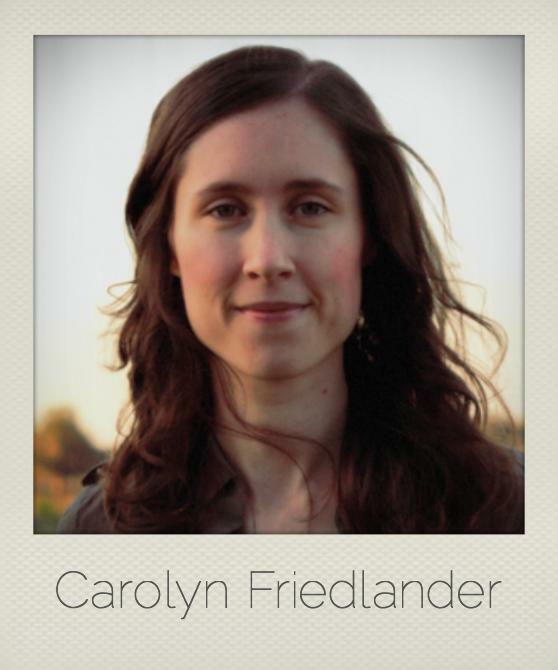 Her studio is her lovely backyard in Northeast Los Angeles. 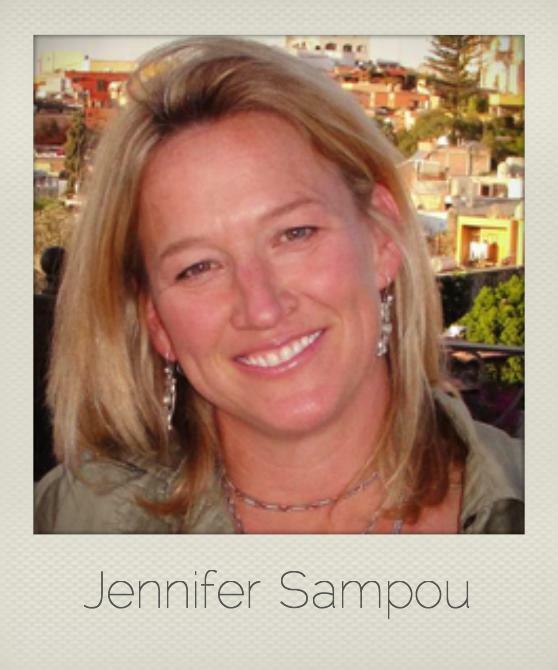 Jennifer was just as in love as I was with the Architextures, and had some ideas of what to do with it right away. We started gathering stones in her backyard to use in the traditional Japanese dyeing technique of Shibori. The fabric is placed over the stones and then secured with a rubber band. The rubber band creates a resist, which stops the dye from coloring the section the rubber band is covering. 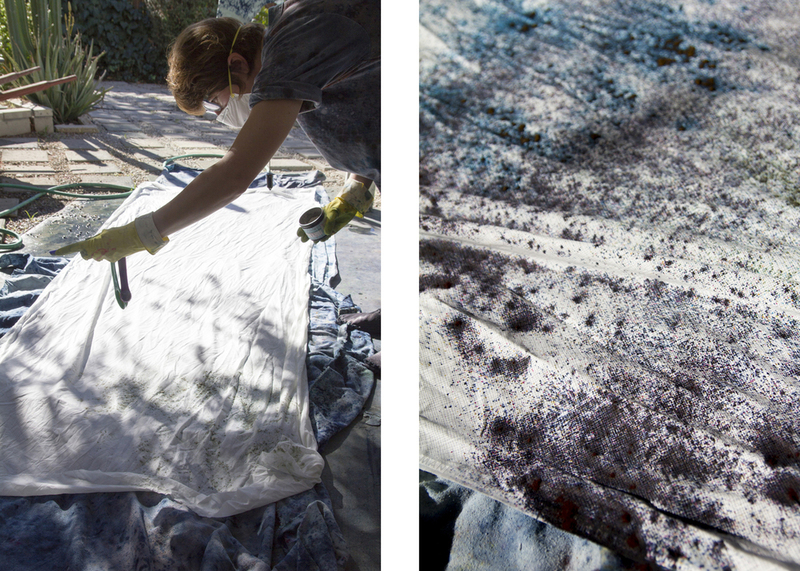 After the stones are secured, the fabric is dipped into a vat of indigo dye. After sitting for a while, the fabric is removed from the vat and the bands come off! Next, she experimented with some fabric-reactive synthetic dyes. She soaked the fabric and then set it out flat and sprinkled the dye directly on the fabric. It created a sprinkled texture that held a nice shape and delicately colored the white. She then added indigo right from the vat to add a subtle light blue bleed to the fabric. I was so inspired by the two prints she made, that I had to put it to use. This is a block from The Farmer’s Wife Sampler by Laurie Aaron Hird. This block is only 6” finished, but I’d really love to make a larger version of it for a quilt! You can find out more about Jennifer and ERMIE at http://ermie.bigcartel.com. 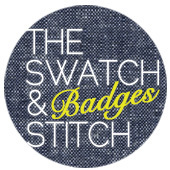 Additionally, you can read more about our dyeing adventures at the Swatch and Stitch Fashion blog. 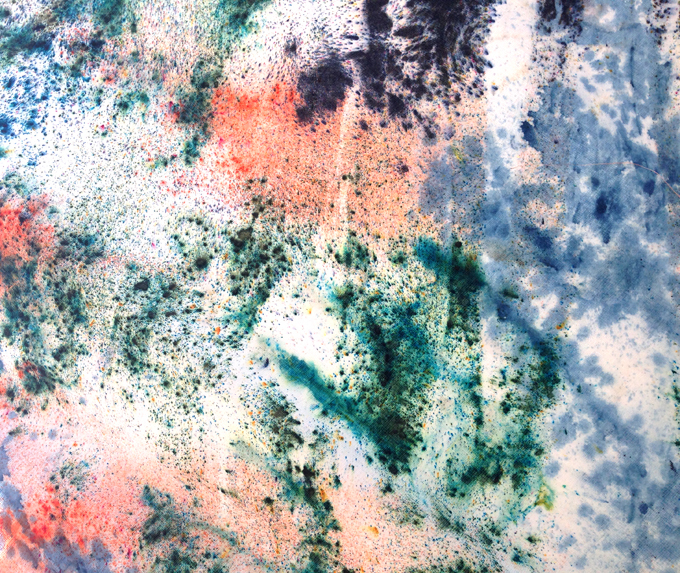 Learn about Robert Kaufman's prepared for dye fabrics and see some more of her beautiful creations there!